January 22, 2019 — In this episode of the Sourcing Matters podcast, former NOAA Regional Administrator of the Greater Atlantic Regional Fisheries Office and former Mayor of New Bedford, John Bullard discusses the impacts of the federal shutdown on marine management and coastal communities. Decemeber 17, 2018 — When last we saw John Bullard, the big man was sitting in his sun-splashed office at NOAA’s Greater Atlantic Regional Fisheries Office in Gloucester’s Blackburn Industrial Park, wearing an authentic, white Red Sox home jersey with David Ortiz’ No. 34 on the back. By then, Bullard, who shepherded this region of NOAA Fisheries through the ongoing cod crisis, the remapping of available fishing areas, quota cuts, the imperiled state of right whales and the beginning of the end for Carlos Rafael, already had committed to heading off toward the pasture of retirement. He seemed totally relaxed and completely at ease. We’ve been meaning to reach out to him for quite a while, if for no other reason than to talk about the Red Sox’ World Series championship and maybe a bit of Pats patter, particularly in the wake of the hideous defeat last week in the heat of South Florida. December 5, 2018 — The Trump Administration just approved dangerous seismic blasting to look for oil and gas in the Atlantic Ocean, a move that will threaten marine wildlife and fisheries. This announcement came on the heels of the National Climate Assessment, which the Trump Administration tried to downplay by releasing it the day after Thanksgiving. That’s right, Trump just sidestepped science — twice — to deliver a one-two punch to fishermen. The scientific report on climate change offers a devastating look at the impact of climate change on the American economy — including fisheries in New England — if we fail to act fast. According to the report, the American economy will decline by up to 10 percent by the end of this century. Failure to reduce carbon emissions will continue to negatively impact the health of fish stocks, threatening the economic stability of our fishing industry and coastal communities. None of this is news to New England fishermen, who already know the changes happening in their place of business: the ocean. They know warming waters have driven lobster out of southern New England towards Canada. They know that despite difficult quota cuts, cod is much harder to rebuild, and many flounder species don’t reproduce the way they used to. Fishermen know that warming oceans have pummeled the Maine lobster industry, where revenues fell by $99 million in 2017. Some scientists warn that ocean acidification could make the scallop industry, a $500 million-dollar mainstay of New England’s fishing economy, the next to go. There’s no Plan B if this happens. And new oil and gas development could accelerate the decline of these and other species. Without action, the working waterfronts of New England could cease to work. What was President Trump’s response when asked about the climate report from his own administration? “I don’t believe it.” Apparently his self-professed intellect is superior to more than 300 scientists from inside and outside the government who wrote the report. Because of his inability to accept the advice of his own scientists on what may be the issue of gravest importance to future generations, the president is putting our region’s fishing industry at risk. September 25, 2018 — Right when it seemed as if the seas were settling around New Bedford, Massachusetts and the crimes of disgraced fishing magnate Carlos “Codfather” Rafael, another wave of controversy has hit the beleagured city. 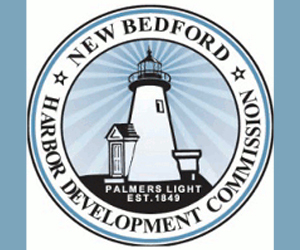 The latest contention in New Bedford comes in the wake of the National Oceanic and Atmospheric Administration’s (NOAA) issuance of a 51-page superseding charging document related to the agency’s civil administrative case against Rafael, initiated in January 2018. Earlier this month, NOAA filed the new document, which called for the revocation of 17 operator permits held by Rafael’s captains and increased the civil penalties associated with the case from just under USD 1 million (USD 983,528, EUR 834,673) to more than USD 3 million (USD 3.3 million, EUR 2.79 million). The noncriminal document also upped the number of alleged fishing law violations – ranging from misreporting species to gear, scallop, and observer violations – to 88, according to The Standard Times. These new developments have left some stakeholders in New Bedford’s fishing industry baffled. Jim Kendall, a former fishing captain and executive director of New Bedford Seafood Consulting, told local newspaper South Coast Today that he suspects former New Bedford mayor and ex-regional administrator for NOAA John Bullard of continued involvement with the case, even though Bullard retired from his post back on 19 January. “I’ll tell you right now, you can print it or not, but I think John Bullard still has his thumb on the scale,” Kendall said. September 24, 2018 — NEW BEDFORD, Mass. — Jim Kendall sees fingerprints on NOAA’s most recent allegations that go beyond Carlos Rafael and loop 22 of his captains into the agency’s non-criminal civil action. “I’ll tell you right now, you can print it or not, but I think John Bullard still has his thumb on the scale,” the former fishing captain and executive director of New Bedford Seafood Consulting said. Bullard is the former mayor of New Bedford, but in this case more importantly acted as the regional administrator for NOAA when Rafael was criminally indicted, pled guilty and was sentenced. Bullard also imposed a groundfishing ban on Rafael-owned vessels. Except Bullard retired Jan. 19, about nine months before NOAA filed the updated charging documents on Sept. 10. Bullard was at the helm when NOAA first filed charging documents on Jan. 10. April 18, 2018 — In a multinational drive to protect the North Atlantic right whale, fisheries along the east coasts of the Canada and the United States are being mandated, legislated, or volunteering to reduce rope use as much as possible. The Canadian government has instituted steps that requires snow crab fishermen use less rope, use more easily breakable rope and report any lost gear as soon as possible. These conditions apply to all fishing in the Gulf of St. Lawrence. 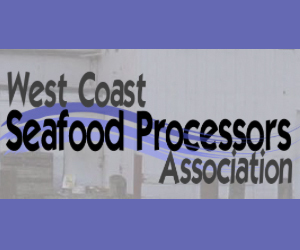 While Canada’s federal effort has been heavily on the snow crab fishery, the Prince Edward Island Fishermen’s Association (PEIFA) recently laid out its own plan to reduce potential entanglements and involvements with the endangered whales. No right whale has been found entangled in lobster gear, but nevertheless, the lobster fishermen in Area 24, along Prince Edward Islands’s North Shore, have agreed to voluntarily reduce what the gear they put in the water by at least 25 percent – setting their traps in bunches of six rather than a one trap set or smaller bunches. South of the border, an op-ed in The Boston Globe by John K. Bullard, the retiring regional administrator for NOAA’s Greater Atlantic Regional Fisheries Office, challenged the U.S. lobster industry to take the lead in heading off the extinction of the North Atlantc right whale. April 4, 2018 — In January, on his way out the door of NOAA Fisheries and into retirement, former Regional Administrator John K. Bullard didn’t hesitate when asked for the most critical management issue facing the federal fisheries regulator. Clearly, he said, it is the desperate plight of the North Atlantic right whales. Bullard may have left behind the daily responsibilities of running the Greater Atlantic Regional Fisheries Office, but he took his bully pulpit with him. On Monday, he published an op-ed piece in the Boston Globe challenging the U.S. commercial lobster industry — predominately based in Maine and Massachusetts, where Gloucester and Rockport are the top ports — to take the lead in trying to head off the extinction of the North Atlantic right whales. While he also carved out a role for scientists, non-governmental organizations and fishery managers in the hunt for solutions, Bullard’s emphasis on the lobster industry did not sit well with local lobstermen, who believed their industry was being singled out. Beth Casoni, executive director of the Massachusetts Lobstermen’s Association, said her membership continues to be concerned that the focus for solving the North Atlantic right whale crisis is zeroed in on the lobster industry. “We feel like we’re continually in the cross-hairs,” she said. 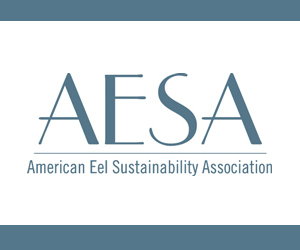 Casoni and lobstermen cited, as examples of the industry’s cooperation, existing modifications to gear and area closures. They spoke of the lobstermen’s role in joint research projects and of a fishery that prides itself on self-regulation, where cheating often is dealt with in camera among the boats. They also pointed out that the majority of whale mortalities are the product of ship strikes and that 12 of the 17 North Atlantic right whale deaths in 2017 occurred in Canadian waters. April 2, 2018 — A number of events over the past two weeks have probably gotten the full attention of the US lobster industry and increased pressure for it to take the lead in fighting the potential extinction of the North Atlantic right whale. In response to the deaths of the endangered whale, including 12 in Canada last year, Canada has imposed new restrictions on ship speeds and snow crab fishing, as well as earmarked $1 million more annually to help free marine mammals from fishing gear. In addition, survey teams on Saturday ended their aerial search for right whale calves off the southeastern US coast. For the first time since the spotters began their survey, in 1989, they recorded zero births this calving season. Last year only five births were recorded, well below what used to be the average of 15 per year. Last year there were 17 confirmed right whale deaths. Already this year, a 10-year-old female, who was just entering her breeding years, died after becoming entangled in fishing gear. She was discovered off Virginia. There are only about 450 North Atlantic right whales, including about 100 breeding females. Females used to give birth every three to four years. Now they give birth only every eight years, if at all. Photographic evidence suggests that about 85 percent of right whales show signs of entanglement in fishing gear, which affects the whale’s fitness and is likely one of the reasons for the longer breeding cycle. The $669 million lobster industry must assume a leadership role in solving a problem that it bears significant responsibility for creating. Entanglements occur in other fixed-gear fisheries, but the number of lobster trawls in the ocean swamps the other fisheries. March 1, 2018 — As debuts go, Mike Pentony’s first day on the job as the regional director for NOAA’s Greater Atlantic Regional Fisheries Office was a corker. The federal government marked his ascension on Jan. 22 as only the federal government can — shutting down all but the most essential government services as a consequence of the usual congressional mumbley-peg. “My first action was to come in and proceed with the orderly shutdown of government operations,” Pentony said recently during an interview in the corner office on the uppermost floor of GARFO headquarters in Gloucester’s Blackburn Industrial Park. The respite was short-lived. The shutdown lasted a day. When it was over, the 53-year-old Pentony began his new job in earnest as the leader of the regional agency that manages some of the most historically productive — and at times contentious — fisheries in the United States. It is, as his successor John K. Bullard would attest, a monumental task, working on a canvas that stretches geographically along the Eastern seaboard from Maine to North Carolina and west to the Great Lakes. But the geographical sweep pales in comparison to the scope and density of the regulations Pentony is charged with enforcing. There is the crisis of cod in the Gulf of Maine, the alarming demise of the North Atlantic right whales, the malfeasance of cheaters such as New Bedford fishing kingpin Carlos Rafael and a myriad of other issues that affect every fishing community within his purview. There is incessant wrangling over habitat protections, the usual tug-of-war between environmentalists and conservationists on one side and fishermen on the other. It is a drama with a disparate cast of characters and Pentony is convinced the only way to address extraordinarily intricate problems — usually requiring even more intricate responses — is by forging a collaborative spirit. 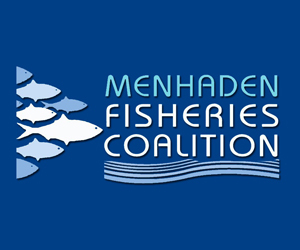 He also understands, given the varying degrees of conflict that exist among fisheries stakeholders, that achieving that collaboration will be far more difficult than contemplating its benefits. Pentony served under Bullard as assistant regional administrator for sustainable fisheries starting in 2014. He was asked what advice his predecessor gave him. 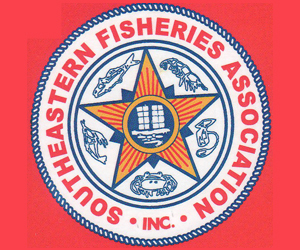 Pentony made his fishery management bones as a staff member at the New England Fishery Management Council prior to joining NOAA Fisheries in 2002. That experience, he said, instilled in him a solid faith in the ability of the council system to ultimately arrive at the best decision once all implications are considered. Pentony didn’t even wait for his first official day in the big chair to begin his own campaign of engagement. The Friday before his official starting date, he traveled to the Yankee Fishermen’s Cooperative in Seabrook, New Hampshire, to meet with David Goethel — a frequent critic of NOAA Fisheries — and other New Hampshire fishermen to give them a sense of how he plans to approach the job. Later that day, he had lunch in Gloucester with Vito Giacalone and Jackie Odell of the Northeast Seafood Coalition. 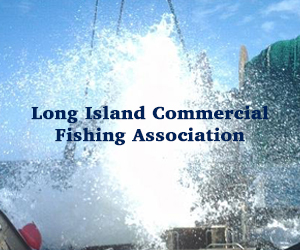 He’s also traveled to Maine to breakfast with Maggie Raymond of the Associated Fisheries of Maine and met with New Jersey fishing companies and processors while in the Garden State on personal business. February 23, 2018 — In January, Michael Pentony was named to replace John Bullard as the new Regional Administrator for NOAA Fisheries Greater Atlantic Regional Office. Pentony has been with NOAA since 2002 and was most recently the Assistant Regional Administrator for the Sustainable Fisheries Division. Prior to joining NOAA, he was a policy analyst for five years at the New England Fishery Management Council. 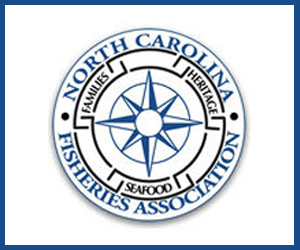 Supervising recreational and commercial fisheries, as well as overseeing the welfare of marine species like whales and seals in 100,000 square miles of ocean from the Canadian border to Cape Hatteras and the Great Lakes is no easy task. Pentony inherited a region of tremendous potential but beset by problems both environmental and regulatory. NOAA has the unenviable task of managing fisheries so that fishermen get the maximum sustainable yield out of commercial species while being legally bound to protect and restore the endangered North Atlantic right whale. Pentony’s agency has been named in two recent lawsuits that homed in on its management of the New England lobster industry, one of the primary culprits responsible for whale deaths through entanglement in buoy lines. At the same time, lobsters, which are critical to the economy of many small coastal communities, particularly in Maine, are showing some signs that their boom years may be coming to an end. “Hopefully, lobster in the Gulf of Maine is not going to be a problem like we’ve seen in Southern New England lobster. It’s something we are keeping an eye on,” Pentony said. A large part of the decline of the lobster population to the south of Cape Cod was warming waters due to climate change. Pentony said a warming ocean and its effect on stock abundance, prey, water currents, temperature gradients, increased susceptibility to disease, impacts many species. Many are on the move, seeking cooler water, perhaps in habitats that provide less food or inadequate protection from predators. Others require management changes that could take time. Black sea bass, for instance, appear to be moving north into the Gulf of Maine where they were rarely seen in numbers. But the bulk of the quota is held by southern states. Unless higher quotas are negotiated for New England fishermen, they could find their fishery on other species restricted by a limit on black sea bass while losing out on selling the bass they do catch. 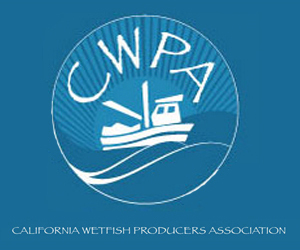 Pentony would like to see the expansion of aquaculture, both shellfish and finfish.